Have you caught the travel bug? Symptoms may include excessive daydreaming, envy of other people’s holidays and an addiction to Getaway. Despite its iconic status amongst fashionistas, Milan is often rated as the ugly sister of Italian beauties Rome, Florence and Venice. However, this year Milan will be the centre of the universe as it plays host to Expo Milano 2015, otherwise known as the Milan Universal Exposition from May to October. Milan is also home to Da Vinci’s The Last Supper painting, the world’s oldest (and most glamorous) shopping mall Galleria Vittorio Emanuele and the impressive Duomo gothic cathedral. Coming in at numero uno on Trip Advisor’s Traveller’s Choice for Best Destination in 2015 is no easy feat given the stiff competition. Perhaps it was what tourists have described as a sense of ‘magic’ that the city brimming with markets, gardens, palaces and mosques exudes. From the Jardin Majorelle an oasis of 300 plant species to the iconic Koutoubia Mosque a grand structure built in the 11th century, Marrakech is truly one of a kind. If you’re a modern history enthusiast, this year Washington D.C is commemorating the 150th year since the assassination of the US President Abraham Lincoln. Take part in a free Lincoln Assassination walking tour or visit President Lincoln’s Cottage in August where priceless artefacts will be on public display for the first time in 150 years. A visit to the Holocaust Memorial Museum, Capitol Hill and the Malcolm X Memorial Park should also be on every holiday to-do list in the nation’s capital. Dubbed Thailand’s ‘second city’ next to the capital Bangkok and listed on the Condé Nast Traveller’s Top 25 Cities in the World List 2014/5, Chiang Mai is anything but a second rate tourist destination. Aussies that crave good Thai cuisine will be especially drawn to the Chiang Mai Gate where endless rows of street food vendors are set up offering everything from Mussaman curry to mango sticky rice pudding. If you’re looking for the perfect gift, great finds are guaranteed at the Night Bazaar. And a visit to the ethical Elephant Nature Park is the perfect way to round off your trip, where you have the opportunity to voluntarily feed and bathe rescued elephants. One of Asia’s best spa destinations, the village of Ubud on the island of Bali, is the ideal place to unwind. You can’t go wrong with the renowned Balinese massage, or try something a little different with an acupressure, reflexology or aromatherapy treatment at one of the many health centres that call Ubud home. And a tour of the Blanco Museum and Tanah Tho Gallery will expose you to the ever bustling Balinese art scene. From traditional wayang paintings, stimulating video art and hot glass sculptures, Balinese art is an exciting mix of Eastern and Western tastes and techniques. While this year holds a special place in the hearts of Aussies as the 100th anniversary of Gallipoli, August marks 70 years since the bombings of Hiroshima and Nagasaki, the events that lead to the end of the Second World War. Pay your respects at the Hiroshima Peace Memorial Ceremony and participate in the Message Lantern Floating Ceremony where some 10,000 lanterns will light up the Motoyasu River. Additional special events for the anniversary are yet to be announced but they are sure to be memorable. 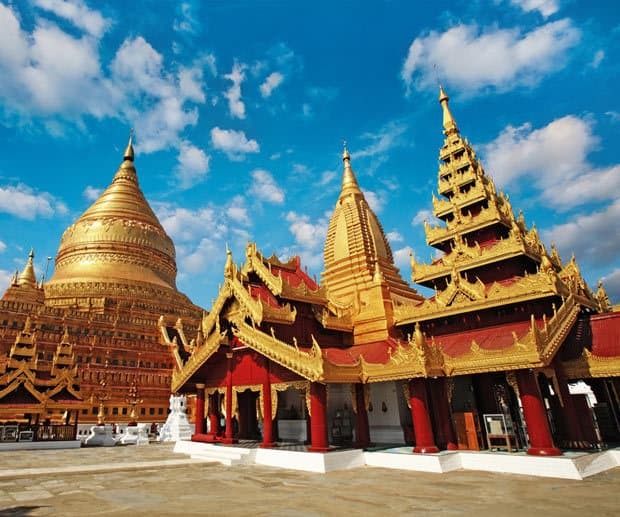 It is only a matter of time before the Burma of old disappears forever as the political reforms set in and bring on a rush of tourists. Flight searches for Myanmar are up 56% (and that is from Australia alone). Visiting the Shwedagon Paya, one of Buddhism’s most sacred sites, cruising down the Inle Lake and wandering through the 2000-something shops of the Bogyoke Aung San Market are a must. Perhaps, one of the most underrated travel destinations in Europe, Bosnia-Herzegovina (BiH) offers travellers a time machine like experience to a land of largely rural landscapes, small hospitable towns and medieval castles. According to the Lonely Planet, the major drawcards for BiH are the newly reincarnated centres of the capital Sarajevo and Mostar that combine war-ravaged historical buildings with trendy bars and cafes. For the adventure-lover, BiH’s sweeping landscape of mountain ridges and cascading canyons make for an unparalleled rafting experience in all of Europe. Unlimited medical cover is a must for the savvy tourist as overseas medical bills can potentially run into the hundreds of thousands. Search for a competitive policy in Mozo’s travel insurance database here. When shopping overseas, it's important you don't get charged extra currency conversion fees every time you make a transaction. 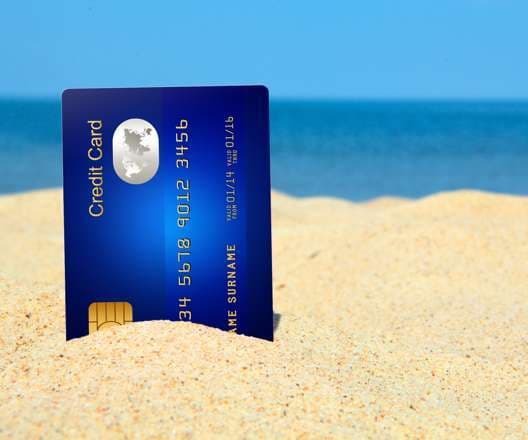 So remember to take a travel credit card like 28 Degrees, which won't charge you international transaction fees on your purchases. That four-digit number has become all the more important as most countries now require a pin for card transactions. Carrying a small amount of Aussie dollars and the currency of the country in which you’re travelling to will ensure you’re never caught out without money. Remember not all countries have the convenience of an ATM on every street corner. Even if ATMs are nearby, you shouldn’t visit them everyday unless your travel money card has no ATM withdrawal fees. A $5 ATM fee everyday could add up to $35 by the end of the week which is money better spent on picking up local trinkets. Where will you be curing your travel bug this winter?